I’ve always been a nostalgic person. One of my favorite things to do is reflect on the past years and see what I’ve done rather than look for the future. And I like doing this recap with my blog. Because blogging has become an inherent part of my life. 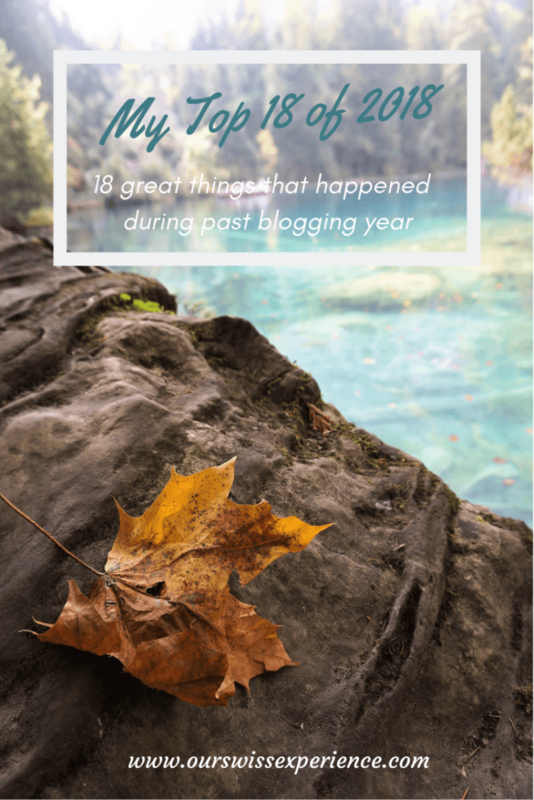 The year 2018 was really rich in events in my blogging world. And accidentally, their sum gives the number 18. The sequence of these events is not given by their significance (whether for me or my blog) but rather chronologically. 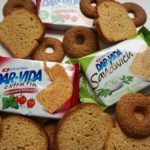 In January I began to write my blog in German as well. It was for a purely prosaic reason: to broaden its audience. And when I’m writing a blog about Switzerland, I should write it in one of the Swiss official languages, right? Honestly said, I’ve regretted this decision many times during the year. Because it´s demanding. Writing posts in three languages take a heck of a time that I could devote to something else (like writing other posts). But I am still consoled by the fact that I writing in German is good for me, even if anyone read the German posts. But, thanks to the German-written blog, I was contacted at the beginning of the year by the local news portal Nau.ch whether I wanted to write articles to the reader section of their website. That was a great challenge. And indescribable joy when my first article was published. At the beginning of February, I received an invitation to the workshop held by Nau.ch on how to shoot videos. Since I was also flirting with the idea of shooting videos from our trips, I accepted the invitation. In this workshop, I met not only the people from Nau.ch, but also the three Swiss bloggers. from Moms:Tots:Zurich approached me , I almost jumped for joy! In June I went to Prague to participate in Blogerfest – the first event for bloggers in the Czech Republic of its kind. Finally, I personally met bloggers, which I only knew virtually until then. Interesting lectures were just the cherry on the cake. In July, I was addressed from the Swiss creative magazine Kiludo, which focuses not only on DIY tips for children. For their edition devoted to hiking with children, they wanted tips for favorite hiking trails from local bloggers. 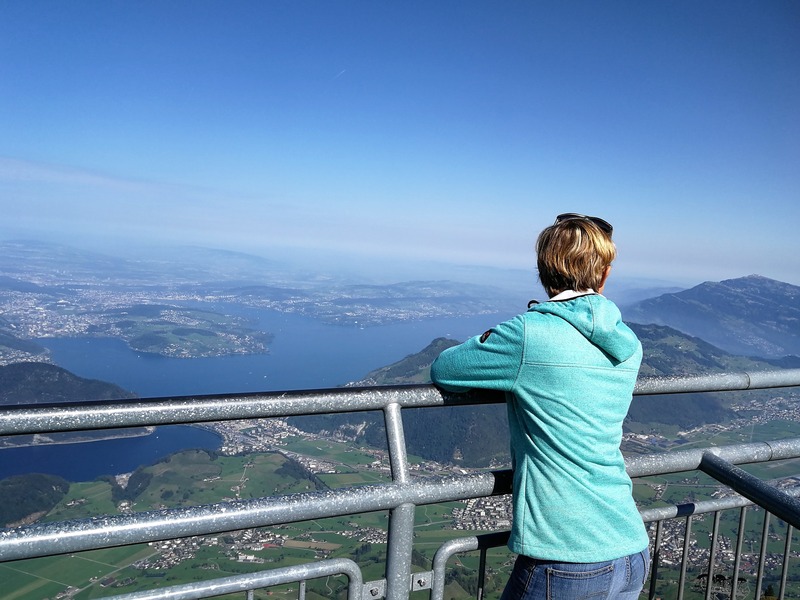 I shared a tip on the Felsenweg Bürgenstock family-friendly hiking. This month, I also received my first collaboration offer. Not just the barter (product reviews), which is a habit in a circle of smaller bloggers. But for a truly sponsored post. For money. For a long time, I hesitated to go for it. This post was supposed to be in German! But in the end, I decided I had nothing to lose and I had to try it once. 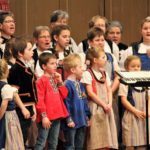 If you want to practice in German, you will find the article HERE. 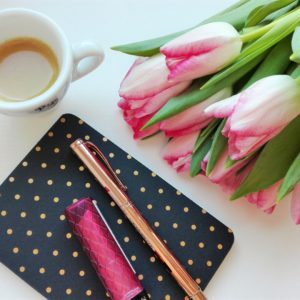 When my membership in the Schweizer Familienblogs and the Swiss Blog Family groups was approved, I felt I was finally becoming a part of the Swiss blogosphere. 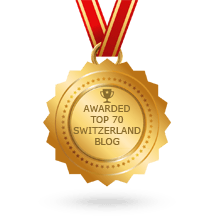 In mid-August I got an email telling me the good news that my blog appeared in the ranking as one of the “Top 70 Switzerland Blogs on the web“. Yay! 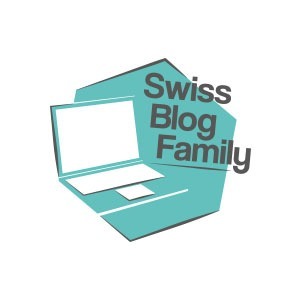 In November, I had the chance to meet Swiss bloggers in Basel during the Swiss Blog Family Congress. On the one hand, I was looking forward to the event, on the other hand, I was worried. Can I handle it? Will I understand everything? My fears soon disappeared. Probably because we went to the event in two – me and Andrea from the Love Airways blog. The event was conceived in a slightly different way than Blogerfest in Prague. You can read the comparison of these two events in THIS post. In November, I won two tickets for the concert of the Czech National Symphony Orchestra performing “Casino Royale in Concert” in Zurich. While I was happy, I was also sad because I could not go out with my husband. But you know how it is (not) with having a babysitter. And so I wrote above-mentioned Tanya if she wanted to go with me. I was so happy to meet her in person! It was very nice and inspiring. 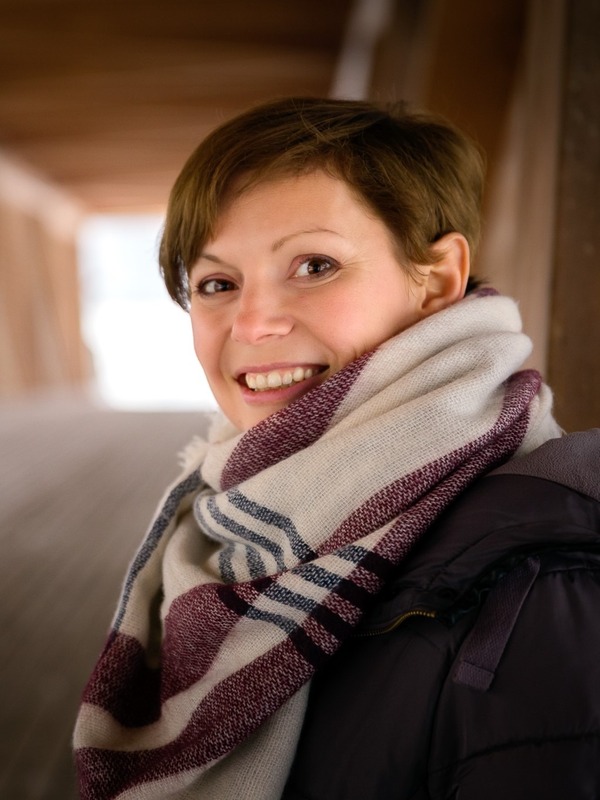 In the second half of November, Sarka from the Swiss Gossiper website contacted me if I wanted to be one of the lecturers at her online webinar. It was a unique event of its kind for those who are preparing or dreaming about life and work in Switzerland. 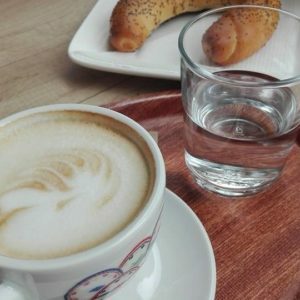 In addition to the guest post for Moms: Tots: Zurich I also wrote a guest post for Laura from the Let’s Explore blog (about the Czech cuisine), for Kristin from the Swiss Family Travel blog (I wrote about our favorite swimming pool) and Katka from the blog Uneseni. I have “discovered” copywriting. I did not know this word a few years ago. Even though I had a few semesters of marketing at the university. But it’s been a long time ago. Maybe it was not used to the extent that today. And I’m so glad to have discovered it and I can continue learning. And just self-studying in copywriting is one of the reasons why I was not very active on the blog at the end of the year. After last years, when I was studying SEO, keywords and other things that are important to Internet search engines, I’m studying what’s important to my readers. For my blog posts to be readable, I have to learn to write well. Write comprehensibly. Write attractive. Just so the readers just not scroll the photos in the post, but they really enjoyed reading my posts. After quite a long depressive and self-deceiving period (maybe autumn fatigue or something), a few moments have been gathered that opened not only my eyes but also my mind. And a huge stone fell from my heart. And I realized what I wanted, why I wanted it and how I wanted to reach it. And what am I going to do about it! One thing is that you already read this post on the new domain. Yes, it was a step I should have done a long time ago. Actually, when I switched from Blogger to WordPress. I shouldn´t have kept the name of an old blog, which people just did not remember and was mystifying. But who could have then predicted that my blogging would take such a turn? In 2017, I was telling myself: “Oh, well, I’ll change the domain to “Our Swiss Experience” and what if we move back the very next year?” Honestly, I do not even know today if something like that happens. But I think the blog deserves the new domain. Since webinar has been successful and I have been receiving questions from different people asking about moving to Switzerland over the last few months, I have decided to extend my webinar presentation and write an e-book. A handbook or rather a guide for those who want to move to Switzerland (not only) with their family. I want the guide to contain as much quality information and relevant links as possible. But you will have to wait a bit longer for the result. The working version of the guide is still in the hands of my professional advisors 🙂 But I firmly believe that this is why the result will be worth it.